The single biggest source of stress for many small business owners has passed. Tax day has come and gone, and unless you filed for an extension on your small business income taxes, then you can now breathe a slight sigh of relief. It’s never too early to start preparing for the next tax season — and while that may not necessarily be music to your ears, it’s still important to acknowledge. 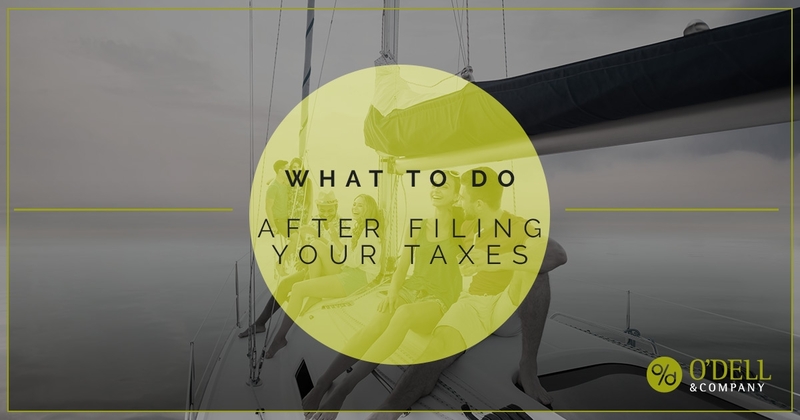 In this blog, our Fort Collins CPA firm will help you map out what comes next after you’ve filed your small business taxes for the year. Keep reading to learn more and contact O’Dell & Company if you still need help with your small business tax preparations. After about 72 hours, you should be able to check the status of your tax return. Operating as a business, you likely had the help of a local CPA firm, which can then help you check the IRS site to see if there are any problems with the status of your return. More often than not, it will be acknowledged and accepted within a matter of days — however, if the return was rejected for any reason, you’ll want to get to work immediately on making those corrections. Typical errors come down to simple mistakes, such as an incorrect address, date of birth, or other personal information. If you find that your business actually owes money in taxes, then this is the point where you’re going to have to divvy up. You can choose from a number of different payment options, including credit card, bank transfer, and installment plan. Or, if your business earned a refund as a result of your credits and deductions, then that’s even better! Use that tax surplus to pay off additional debts that your business may have acquired over the past year and put yourself in a more stable financial situation. Now the calendar has finally, mercifully trotted past the dreaded tax day, you can finally take some time to relax. If you have the capability to do so, take some time for yourself and your family and plan a vacation. Get away from the business for a few days, even if it’s as simple as a weekend mountain getaway, to clear your head. Or, if you find that you simply can’t get away — you do have a business to tend to, after all — make some time to organize and tidy up your office and its surroundings. There’s nothing like some therapeutic spring cleaning to help cure the stress from organizing your tax information! It’s never too soon to get a head start on next year’s tax preparations. In fact, the more proactive you are now, the easier it will be when next year’s tax day rolls around. Organize all of your tax return documents, file away receipts and other important documents, and utilize the cloud-based accounting services at your disposal. Contact O’Dell & Company today for more local small business tax planning help.